← The “Inner Circle” – Can the Barrier be Broken? St Columb’s Cathedral is near and dear to my heart; I often refer to it as “My Granny’s Church”! My family has been affiliated with the church for decades. Many were married, baptized and confirmed at the church. Some were in the choir, while others taught Sunday school; a few teachers in the family taught in the Cathedral School which was affiliated with the church. 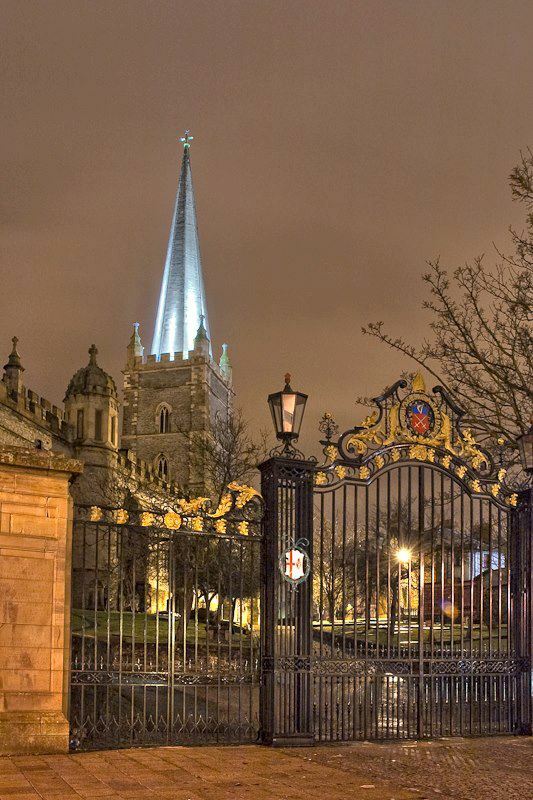 St. Columb’s can be found in the walled city of Londonderry, Northern Ireland. The Cathedral is the mother church of the Church of Ireland Diocese of Derry and Raphoe and the parish church of Templemore. It is said that the Cathedral is haunted by William Higgins, a former bishop, predecessor of the renowned Bishop Alexander. Originally buried outside the Cathedral, Bishop Higgins’ tomb ended up inside the Cathedral after the extensive restoration of 1867. In completing the renovation, his final resting place was apparently disturbed; leading to the folk lore that he still frequents the Church. Staff has heard footsteps in the gallery; upon going to check they found the door to the gallery locked. There was also an occurrence with the organ. The original organ had been vandalised and an electric replacement had been installed. It was this organ that began to produce a noise when the power was turned off! All reports indicate the ghost to be friendly! This entry was posted in Family History and tagged Family History, Ireland, Londonderry, Love Family, Wilson Family. Bookmark the permalink. 1 Response to St. Columb’s Cathedral – “My Granny’s Church”!